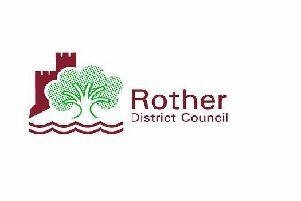 On Monday, July 23, the Overview & Scrutiny Committee of Rother District Council will be considering the “final recommendations of the Housing Issues Task and Finish Group”. The public have been excluded from this group’s hearings and discussions. However, several agencies were invited to submit evidence. It’s encouraging that the report recommends “work with the voluntary sector to explore options for creating a street homelessness centre/hub in Bexhill”. It’s also encouraging that the report recommends the acquisition of “emergency and temporary accommodation”. However, these recommendations appear to have been made to avoid “further reputational damage to the council” (source: Audit and Standards Committee report on March 26, agenda item 5.1). This followed a damning report published on February 12, 2018 by the Local Government and Social Care Ombudsman on multiple failures by Rother District Council. This report found eight counts of “fault” and four counts of “injustice” over how a complainant (Mrs B) had been treated. These faults and injustices included the distress caused by three months of uncertainty and the financial cost to Mrs B in facing unnecessary possession action because Rother had declined to act when her landlord had sent her an eviction notice on a “no fault” basis. Rother eventually placed her in emergency accommodation in Eastbourne, 14 miles from her GP’s surgery. Yet her GP needed to see her regularly due to her health condition. Mrs B had recorded on her homelessness application that she was 68 years old, had high blood pressure, was totally blind in one eye and received treatment for depression. Yet her room involved climbing four flights of stairs. She also reported bed bugs, an infestation of cockroaches, patches of black mould and that she could not reach the light switch. Rother appears to have failed to follow up these complaints seriously or to inform her of her right of appeal. Section 208 of the Housing Act 1996 requires councils to do what is “reasonably practicable” to provide temporary accommodation in their area, but it has taken this damning report to get Rother to consider reversing their policy of exporting homeless people out of its area. Arguably, Conservative-controlled Rother might have been following an undeclared policy of social cleansing by exporting homeless people out of its area. The Task and Finish Group report, to which the wider public have been unable to contribute, overlooks several other issues. Last winter, a 57-year old man, sleeping rough in Bexhill, was offered emergency shelter in Eastbourne during an exceptionally cold spell. But he had no means of reaching Eastbourne, so could not accept the offer. I wonder whether the Conservative Leader of Rother Council and the Conservative Cabinet member for housing might consider making the journey on foot, carrying their belongings, in icy, wintry conditions.